For this past 2017–2018 school year, the club gave out three, $2,000 scholarships. About 250 guests attended the Mt. 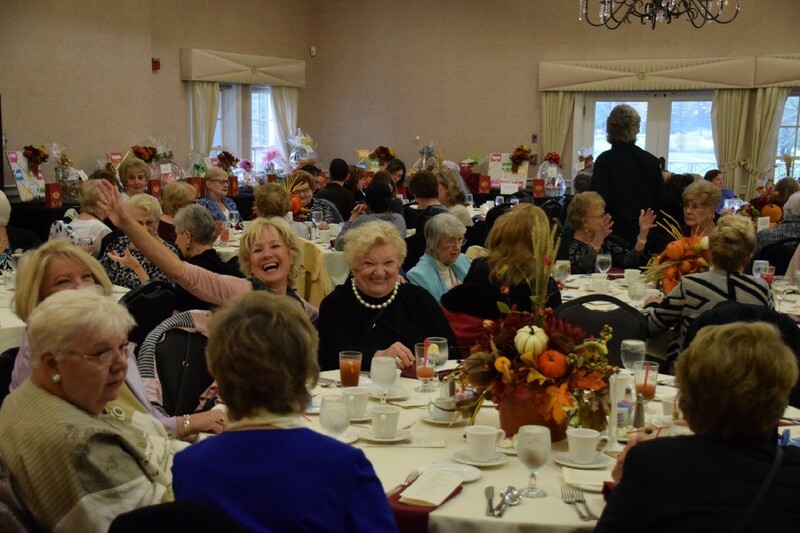 Laurel Garden Club’s annual November luncheon held this week at Indian Spring Country Club in Marlton. The event features more than 50 gift baskets and gift boards, along with other prizes. Richard Layton of Mt. Laurel celebrates after winning one of the many prizes at the event. The members of the Mt. Laurel Garden Club are accustomed to watching things grow. Whether it’s tending to their own personal gardens or helping with the upkeep of the flower arrangements at well-known landmarks across town, members of the club are no strangers to helping guide young seedlings to bloom. What locals might not be aware of, however, is how every year the club also applies those nurturing skills to the benefit of a select few of Mt. Laurel’s senior students. This week marked the Mt. 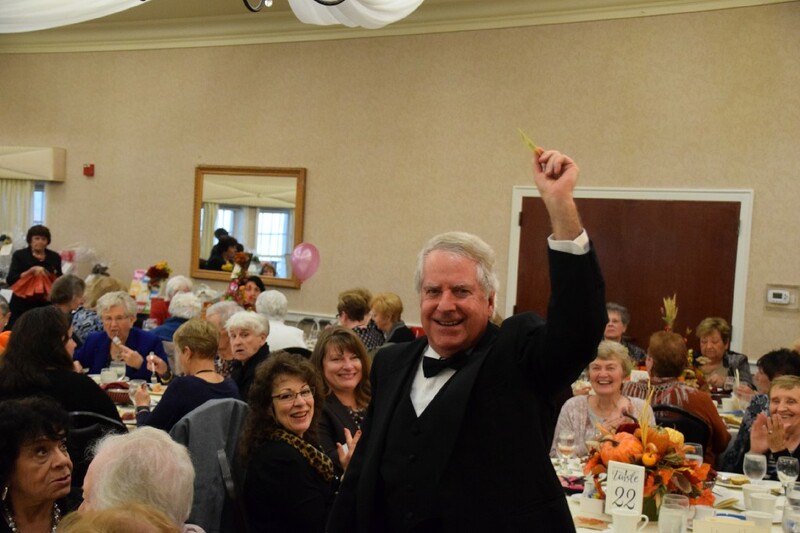 Laurel Garden Club’s annual November luncheon, where members of the club and other supporters raised money to fund scholarships for several students in Mt. Laurel who are graduating high school at the end of this school year. 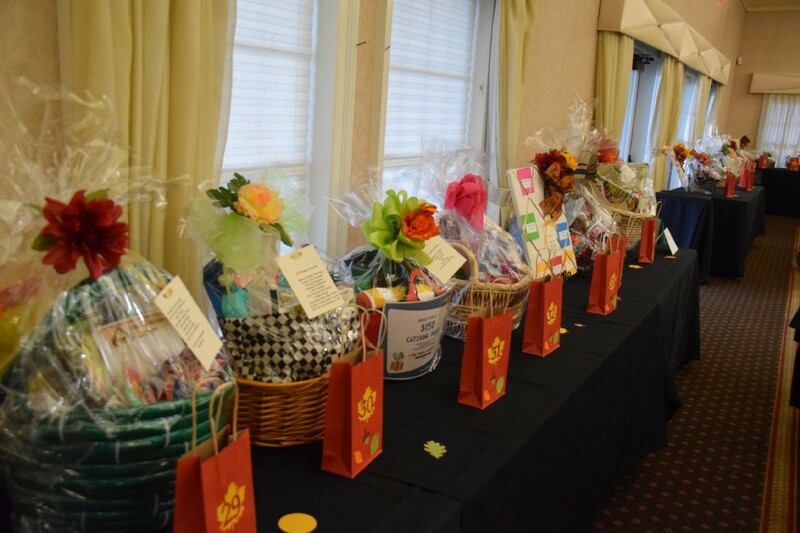 About 250 guests packed the ballroom at the Indian Spring Country Club in Marlton to dine on fine food, try their hand at winning various basket raffles, enjoy one another’s company and, of course, raise money for a good cause. “We put this event on because we really believe in the education of children,” said club member and past president Suzanna DeNight, as she greeted the club’s members and guests to this week’s luncheon. For this past 2017–2018 school year, DeNight said the club gave out three, $2,000 scholarships to three graduating seniors. “That is mainly from your participation, so we thank you wholeheartedly,” DeNight said. About 250 guests attended the Mt. Laurel Garden Club’s annual November luncheon held this week at Indian Spring Country Club in Marlton. The event features more than 50 gift baskets and gift boards, along with other prizes. Current club president Gloria Stephens was also on hand for this week’s event, where she welcomed attendees to the “beauty of autumn” as she described it and thanked guests for helping contribute to club’s scholarships for graduating senior students in Mt. Laurel. Stephens also touched on some of the club’s other activities throughout the year, such as the club planting and maintaining seven public gardens in town providing holiday wreaths for various township buildings. “We always welcome new members,” Stevens said. Founded in 1964, the Mt. Laurel Garden Club meets on the third Monday of every month from September through June at the Mt. Laurel Community Center. Club membership is open to women and men, with the club’s next meeting scheduled for Nov. 19. To learn more about the Mt. Laurel Garden Club, visit the club’s website at mtlaurelgardenclub.tripod.com or visit its Facebook page at https://www.facebook.com/mtlaurelgardenclub. For those senior Mt. Laurel students who will graduate this year, information on how to apply for a scholarship is also available on the club’s website. In addition to other qualifications, students must submit a 200- to 400-word essay describing any personal or academic challenge the student was able to overcome. Applications for the 2018–2019 school year scholarship are due April 1.